Why Does Ruth Bader Ginsburg Refuse To Hire Black Law Clerks? So goes the sentiment of more than a few individuals with ties to those who have worked within the Supreme Court over the last four decades. The problem for Justice Ginsburg is that her own hiring practices confirm that sentiment. Since becoming a member of the Court a quarter-century ago Justice Ginsberg has hired just one black law clerk. That’s right – just one. On his very first day as a member of the Court Justice Brett Kavanaugh has already hired as many black law clerks as Ginsburg has hired in twenty-five years. Ginsburg’s seeming dislike of minority clerks is a subject well known among Court watchers, but a subject completely glossed over by the liberal news and entertainment industries which portray her as a lovably eccentric legal waif who has succeeded among a High Court-world dominated by men. And yet Justice Ginsburg doesn’t seem to take issue with men—unless they happen to be black. You won’t read about that in your far-left history books but the facts say otherwise. 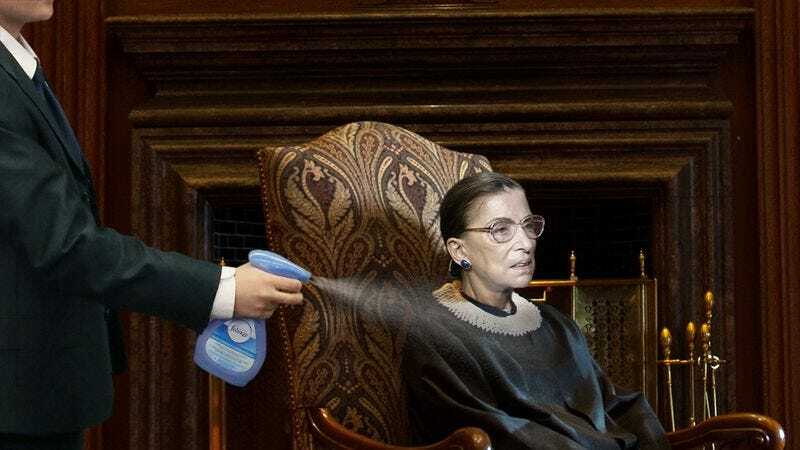 Hopefully, when the time comes for Justice Ginsburg to step down from the Court her replacement will not continue the same troubling hiring practices that she has long engaged in. Racism has no place in America, least of all on the Supreme Court. 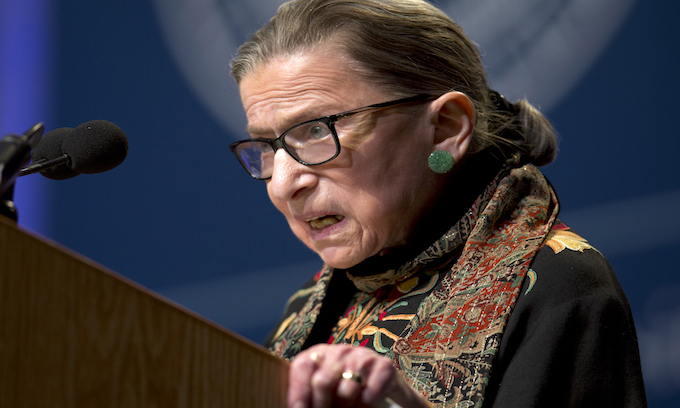 85-year-old Supreme Court Justice Ruth Bader Ginsberg has slowed down considerably in recent years. Stories of her falling asleep in public (including while she is on the bench) have become commonplace in and around Washington D.C. This most recent public outing by Mrs. Ginsberg has left both her supporters and detractors shocked and stunned by how physically and mentally frail she is, leading more and more to suggest she retire. Watch as she struggles to keep her head up, form thoughts, and take in enough air to form words. She has enjoyed a remarkable life but that life is clearly nearing its end.